Plain all white bandana bib with 17 Swarovski crystals. 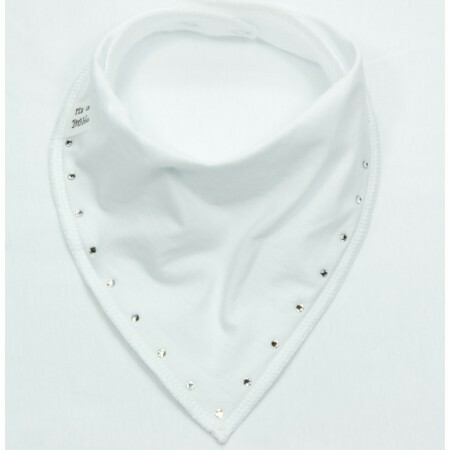 Your precious little princess would look beauiful in this fabulous dribble bib. Bibbles are made with a quality soft cotton top fabric to absorb wetness and a soft fleece under layer to act as a barrier, preventing clothing and baby's chin from becoming wet and uncomfortable. Adjustable nickel free press-studs means it's a comfy fit and being machine washable the Bibble will last for years!